Posted by geoconger in Anglican Church of Australia, Anglican Ordinariate, Church of England Newspaper. The former Bishop of The Murray has been received into the Roman Catholic Church. However, Ross Davies said he would not avail himself of Pope Benedict XVI’s offer of an Anglican Ordinariate and will remain a layman. Last December Archbishop Phillip Aspinall deposed Bishop Davies from the ordained ministry, after a tribunal found the former bishop guilty of misconduct and recommended he be removed from the episcopate. Mr Davies had resigned as Bishop of The Murray in South Australia on 24 September, 2010, one day before a tribunal met to hear nine counts of misconduct laid against him by the Archbishop of Adelaide and Bishop of Willochra. He was adjudged to have subverted the Professional Standards processes by failing to respond to allegations of sexual misconduct made against his archdeacon. This week Mr Davies told The Australian he had been received into the Roman Catholic Church three days after he resigned as bishop, on 27 September, 2010, by Adelaide Archbishop Philip Wilson. “I think I am the only Anglican bishop in Australia to join the Catholic Church so far,” Mr Davies said. 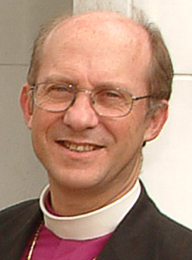 However, the former Bishop of Ballarat, the Rt Rev David Silk, who upon retirement became honorary assistant bishop of Exeter, was one of five English bishops who joined the Ordinariate last year. Six other bishops have so far entered the Ordinariate: the Bishop of Fulham, the Rt Rev John Broadhurst; the Bishop of Richborough, the Rt Rev Keith Newton; the Bishop of Ebbsfleet, the Rt Rev Andrew Burnham; and retired bishops the Rt Rev Edwin Barnes of Richborough, the Rt Rev Raphael Kajiwara of Yokohama, and the Rt Rev Robert Mercer CR of Matabeleland.